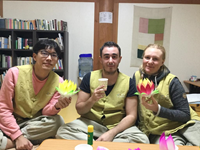 This experience based program offers a variety of activities including a temple tour, a first-hand experience of Yebul (the Buddhist Ceremony), a 108 prayer beads making, a hiking and a special tea session with a monk. 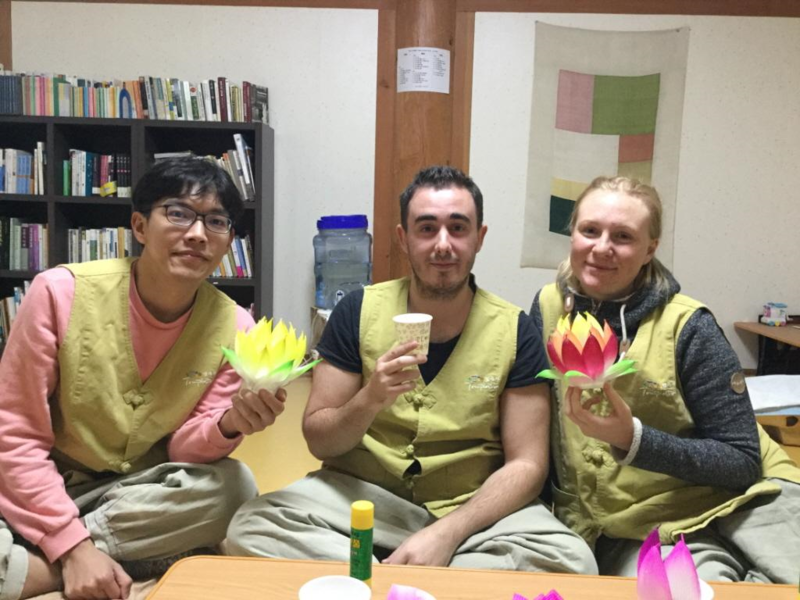 If you are looking for an opportunity to heal your mind while experiencing Korean Buddhism and culture, this would be a perfect choice for you. ※ Please keep the Temple’s rules and regulations for the program. 1. 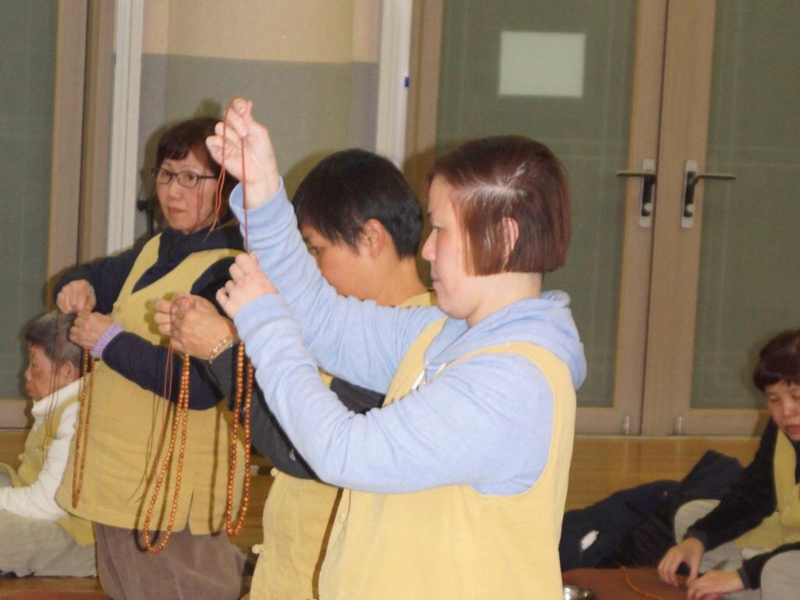 A temple is a place for spiritual practice. Please refrain from loud talking, singing, smoking, drinking or excessive displays of affection. 2. Please be on time and observe the templestay's schedule. 3. 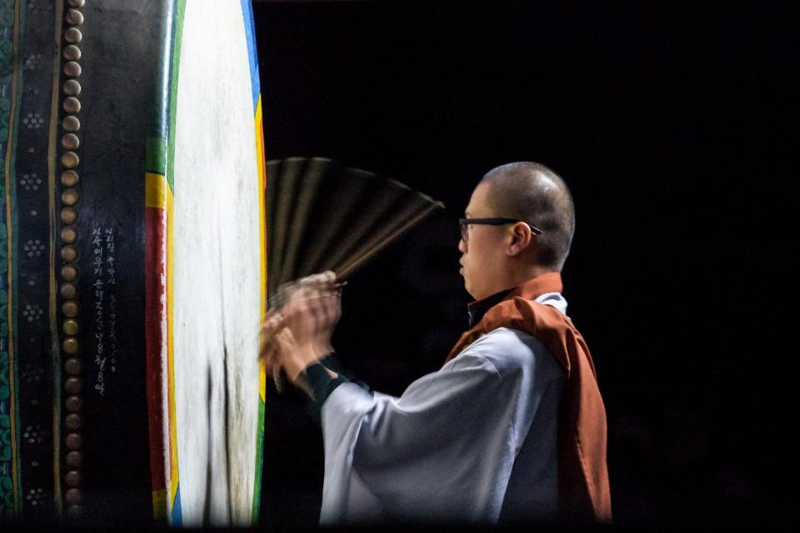 Hapjang or holding palms together is a common way of exchanging greetings in a temple, especially to the monks and nuns. Also, whenever passing through the Buddha's Hall, please bow by placing palms together. 4. 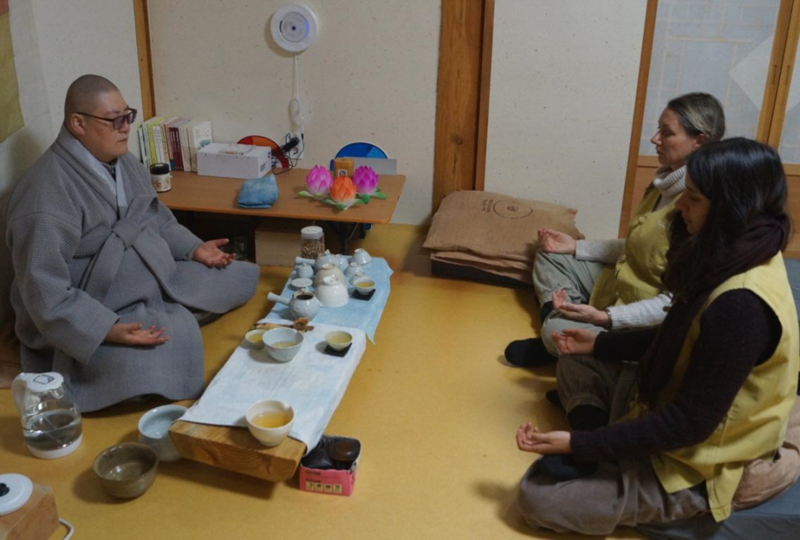 This Templestay is the time for listening and communicating within yourself, truly recuperating. 5. Instant keeping your valuables in a safe placing is available, whenever you want us to. 6. Entering the temple, you are not allowed to carry your wheel suitcases. Please bring shoulderbag which is light to carry. 7. Remember sleevelessness or flip-flops are prohibitted. 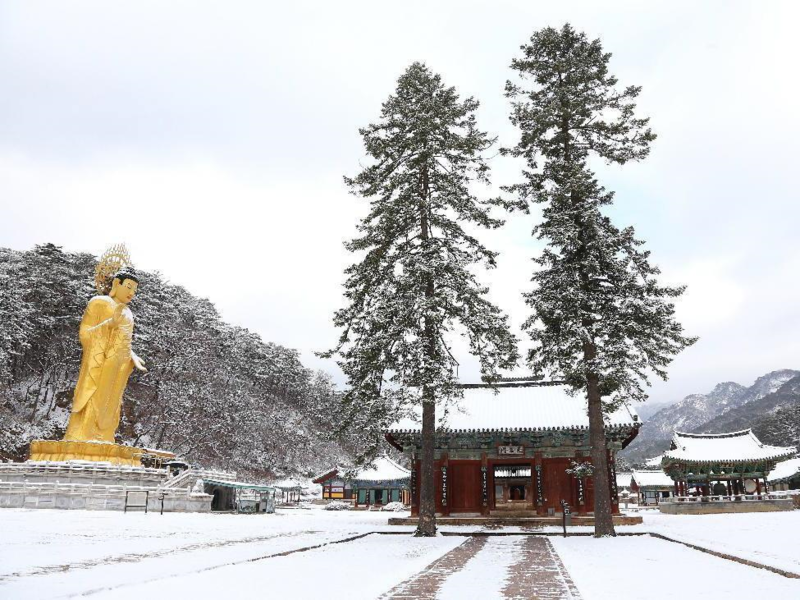 HOW TO FIND "BEOPJUSA TEMPLESTAY"
Beopjusa Buddhist Temple is located in a beautiful mountain Songnisan National Park in central Korea, about 180 kilometers from Seoul. From there it takes about 3 hours by an express bus. Some proper names will help you. The final destination is Songnisan Terminal (속리산 터미널), no matter where you start your journey. 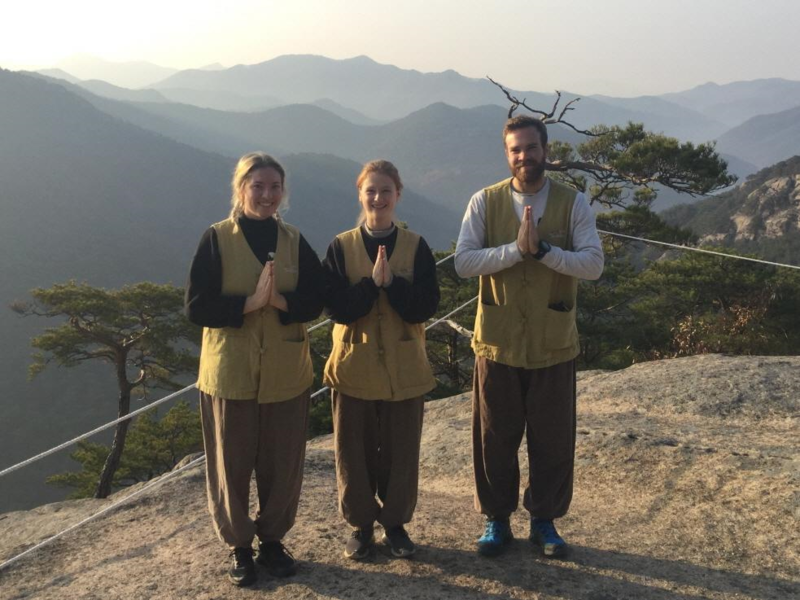 Please note: All the visitors to the Songnisan National Park and the temple are normally charged with a small admission fee. 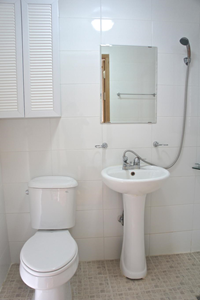 However, it’s free for the Templestay participants. If you are asked for a ticket, just say to the ticket collector that you are here for Templestay, then he will let you pass without a ticket. From "Central City Terminal (센트럴시티터미널)"
to "Songnisan Terminal (속리산 터미널)"
I would recomand you take the bus at 10:30. Please note: This express bus will stop at Cheongju (청주) first, but don't get off there. Remain in the bus. In about 15 or 20 minutes it will start again. 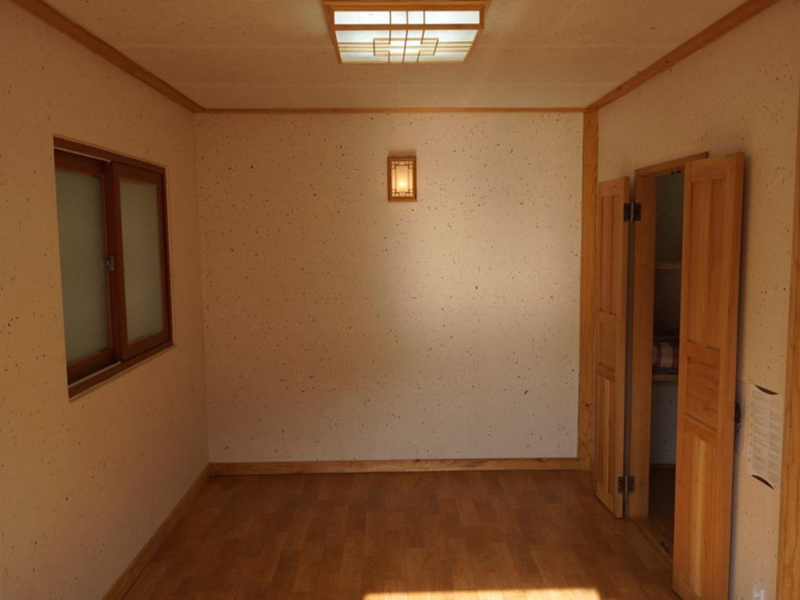 And then it will make a brief stop at Boeun (보은) Bus Terminal again. The bus driver and almost all passengers may get off there. But do not get off there either! (Otherwise you will have to purchase another ticket for the next bus coming to Songnisan) You remain in the bus up to Songnisan Terminal (속리산 터미널). This is really the last terminal of the bus. You get off there. And then follow the following pictures. The buses from Cheongju will make a brief stop at Boeun (보은) Bus Terminal too. The bus driver and almost all passengers may get off there. But do not get off there! (Otherwise you will have to purchase another ticket for the next bus coming to Songnisan) You remain in the bus up to Songnisan Terminal (속리산 터미널). This is really the last terminal of the bus. If your journey starts not from Seoul, please let me know. I will find out for you the best way how to come to us from your place.